The Serbian, born in Bosnia, has 18 goals in 1,533 minutes; they are three goals more in 1.074 minutes less than the French of Madrid. 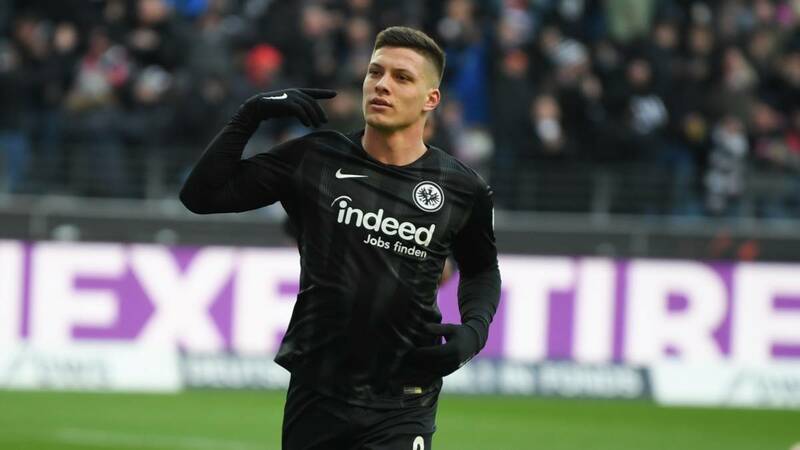 If Madrid have noticed Jovic, it is because of the special relationship with the goal that this season is showing. The Serbian striker, although born in the Bosnian town of Bijeljina, is the Bundesliga's top scorer, with 13 goals, and overall he has scored 18, counting the five he has achieved in the Europa League in six games. This course, his goal average is one every 85 minutes: he has done 18 in 1533 '. An average much higher than the two best white scorers. In fact, it takes almost half that Bale to make a goal and less than half that Benzema. The Frenchman has only three goals less than Jovic, 15, but he has achieved them in many more minutes: 2.607 '. They are 1,074 more minutes than Jovic, so his average is one goal every 174'. Bale, meanwhile, has played a few minutes more than Jovic (1,757) and has scored 11 goals, seven fewer than the Serbian. His average is one goal every 160 minutes. Between the great European goal scorers of the moment, he has a slightly higher average than Messi (one goal every 77 ') and Mbappé (81') and lower than other goal figures such as Lewandowski ( 107 '), Salah (129'), Harry Kane (135 '), Neymar (92') ... In Europe, and also in Germany, only Paco Alcácer overshadows him. The Dortmund Spanish striker makes a goal every 62 minutes.